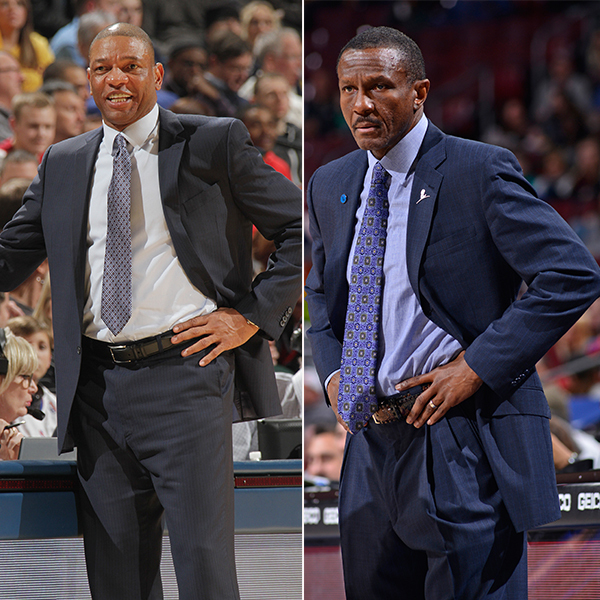 NEW YORK — The Toronto Raptors’ Dwane Casey and the Los Angeles Clippers’ Doc Rivers today were named the NBA Eastern and Western Conference Coaches of the Month, respectively, for games played in January. Casey led Toronto to the best month in the East at 12-2 (.857). Toronto won 11 straight games to close the month, giving the Raptors their longest winning streak in franchise history. At 32-15, the Raptors lead the Atlantic Division by six games and sit second in the conference. Toronto scored at least 100 points in 12 of 14 January games and surrendered 100-plus points only six times. Rivers led the Clippers to an 11-3 (.786) record in January, which included wins over the Miami Heat, Houston Rockets, Indiana Pacers, Atlanta Hawks and Chicago Bulls. The Clippers shot 47.3 percent from the field, which was third-best in the league. They ranked sixth in the NBA in scoring (107.9 points) and seventh in points allowed (99.7 points). The Clippers’ +8.1 point differential was fifth-best in the league. Other nominees for Coach of the Month were Golden State’s Steve Kerr and Luke Walton, Memphis’ Dave Joerger, Oklahoma City’s Billy Donovan, Portland’s Terry Stotts and San Antonio’s Gregg Popovich.